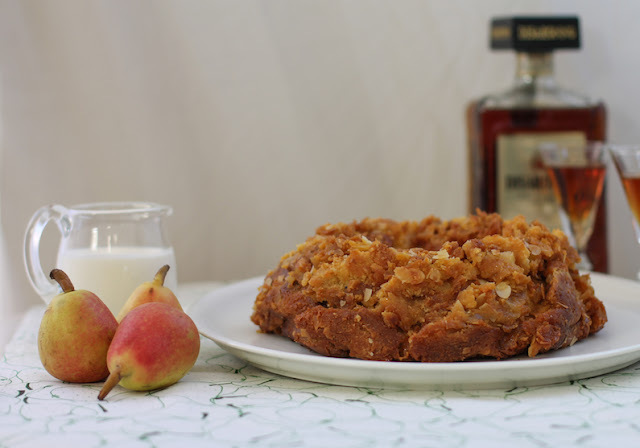 This Almond Pear Bread Pudding is a delightful twist on traditional pudding, made with thinly sliced crunchy pears and sweet almond croissants. I’m just gonna put this out there. I don’t like pears. 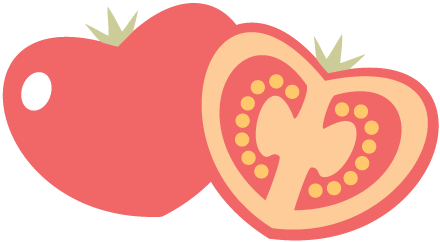 It’s not so much the flavor, which is nice, but the texture. Why would I eat gritty fruit when there is so much I can eat that isn’t gritty? When our Bundt Bakers host for this month proposed pears for our theme/ingredients, I groaned quietly to myself. Pears! What a splendid idea! 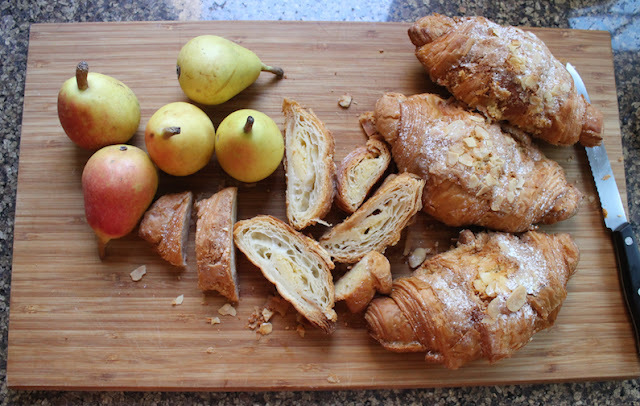 As you all probably know, almond croissants were originally created as a way for French bakers to offload day-old croissants by filling them with sweet almond paste, topping them with sliced almonds and syrup and baking them again. 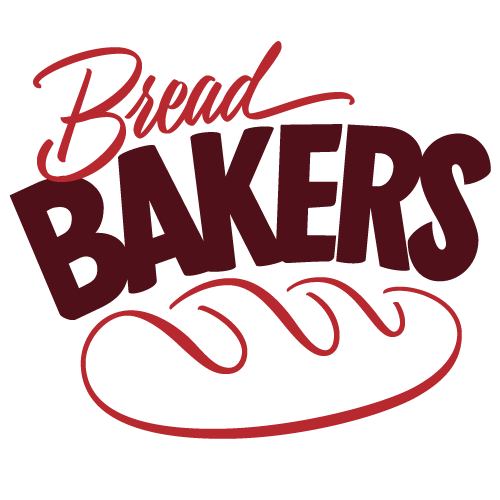 Which also makes them perfect for making bread pudding, a creation traditionally made from day old (or older) bread. 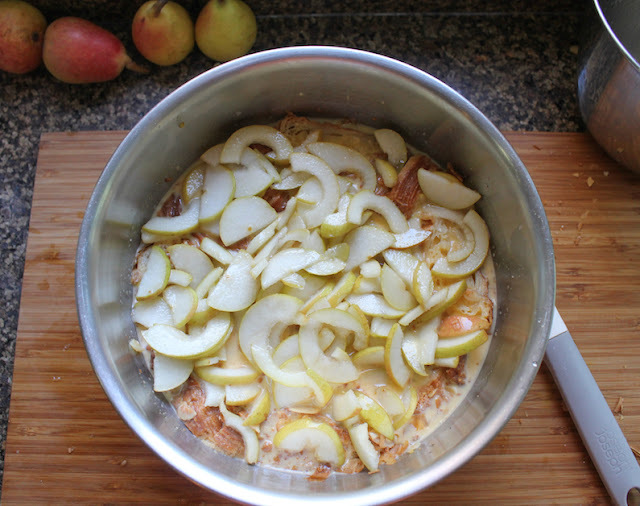 Here’s what I discovered after baking this almond pear bread pudding. 1. I like cooked pears! 2. 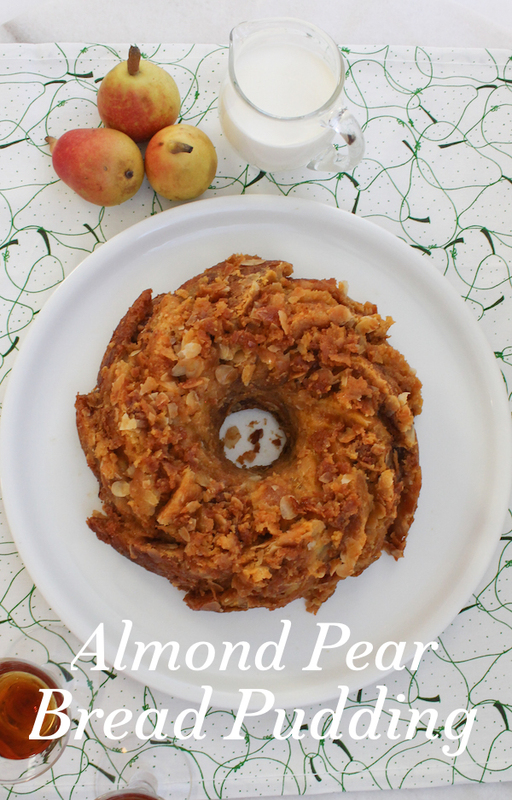 Pears and almonds are a natural couple. 3. I should have chosen a different Bundt pan in which to bake it. 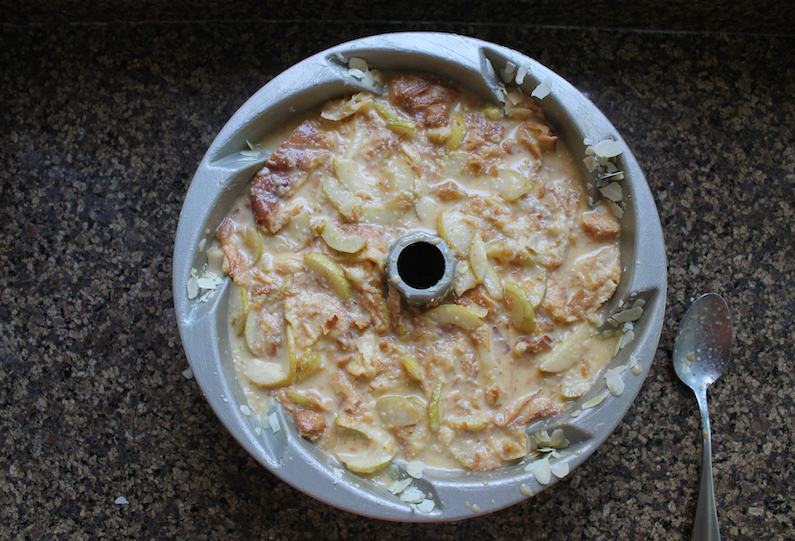 The swirly pan seemed to trap all the buttered almond slices in the little edges. Next time, I’m going to use my classic Bundt pan with the nice even, open curves and I suggest you do the same. 4. 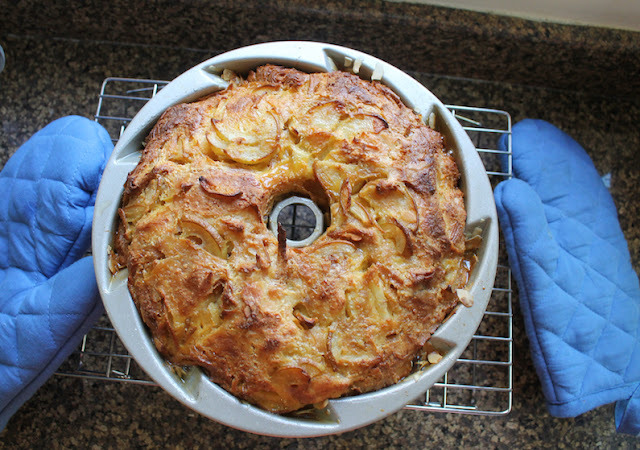 My husband's colleagues love almond pear bread pudding. I send food in with him All The Time. This bread pudding was the first time he forwarded me two emails thanking me! Slice the croissants in about 1 inch or 2 cm pieces. In a large mixing bowl, whisk together your eggs and vanilla. 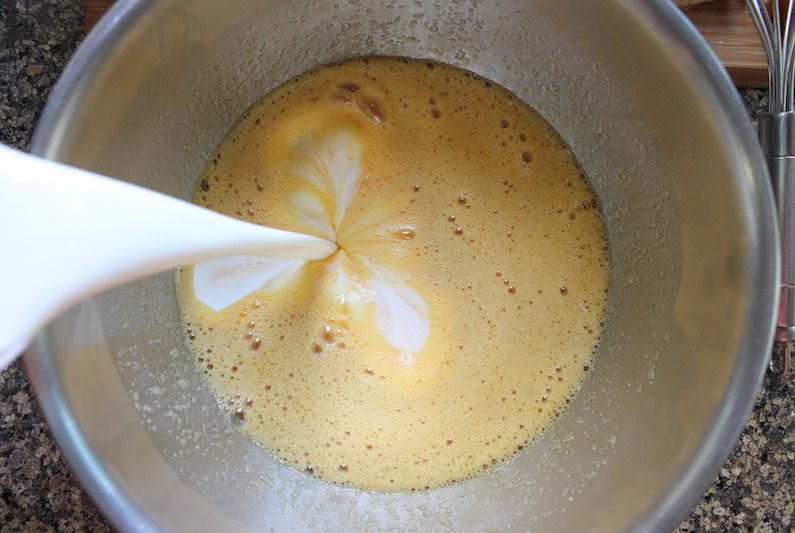 Add in the cup of sugar and whisk again until the sugar starts to dissolve and the eggs lighten in color and get a bit frothy. Add in the milk and cream and whisk again. Add the sliced croissants to the egg bowl and push them down into the liquid. 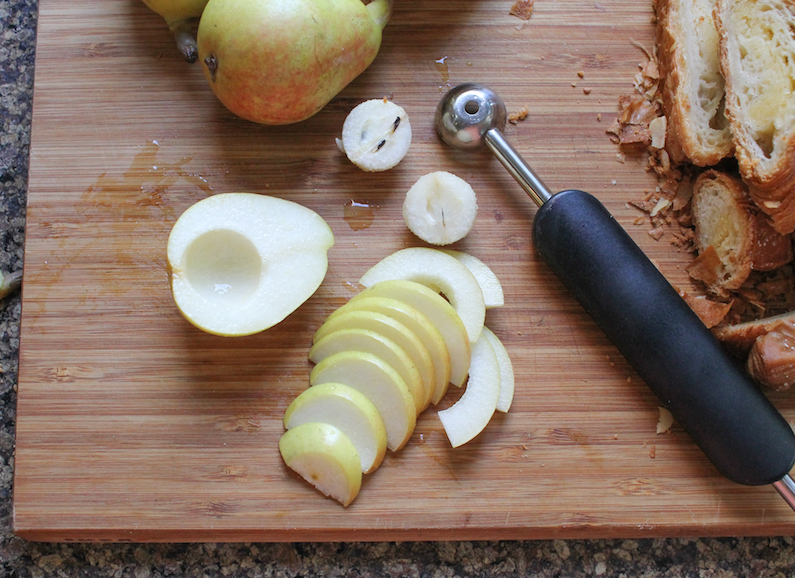 Core and slice your pears thinly. Unless the peels are tough, there’s no need to remove them. A melon baller makes the coring much easier, if you have one. Toss the sliced pears in a bowl with the 2 tablespoons of sugar, salt and Amaretto. Set aside. 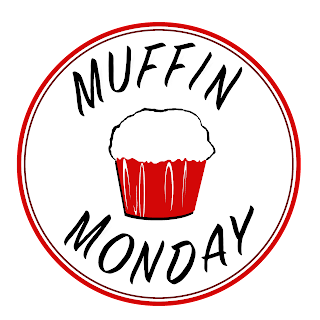 Prepare your Bundt pan – preferably one without many nooks and crannies – by using a pastry brush to coat the inside with butter or vegetable shortening. Drizzle the melted, cooled butter all over the pan and sprinkle in the thinly sliced almonds. Set aside. Give the croissant bowl a gentle stir and add the pear slices to the top. Cover with cling film and put in the refrigerator for at least one hour to give the croissants more time to soak up the sweet egg mixture. When your hour is about up, preheat your oven to 350°F or 180°C. 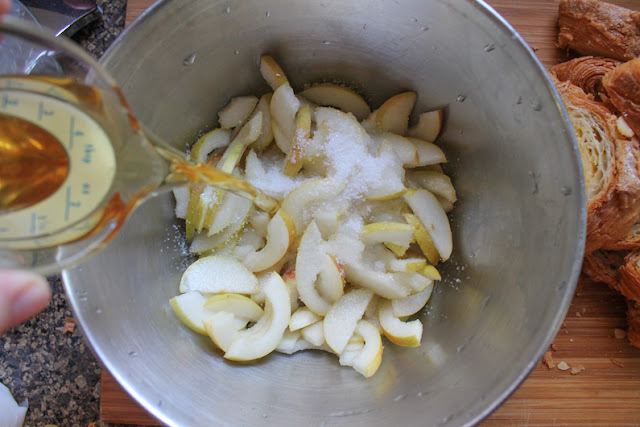 Stir the pudding to mix in the pears. Spoon the pudding into the prepared pan. Butter the shiny side of a piece of foil and cover the Bundt pan tightly with it, buttered side down. 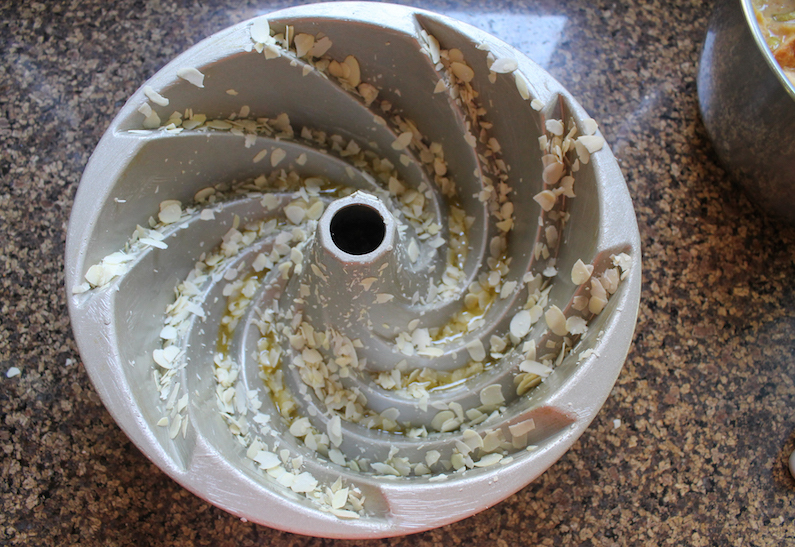 Put your prepared Bundt pan in a larger deep pan and fill the bottom pan halfway up with water. Bake for 2 hours, checking occasionally and adding more water to the bottom pan, if necessary. After 2 hours, remove from the oven and remove the foil. Return the Bundt pan to the oven, uncovered, without the pan underneath. Bake for another 30 minutes. 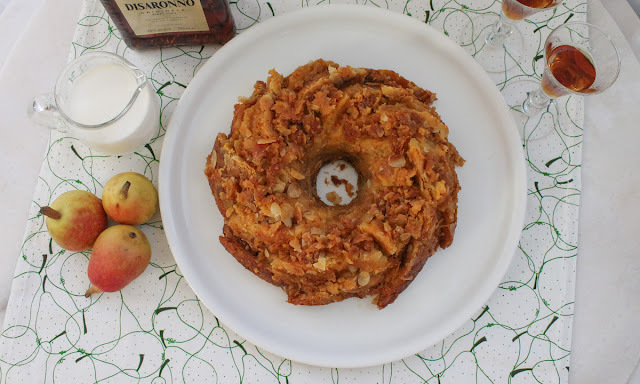 The almond pear bread pudding will puff up beautifully, high above the edge of the Bundt pan, but then will slowly sink back down as it cools. Leave to cool for about 10 or 15 minutes on a wire rack. Use a non-stick surface safe spatula to loosen the bread pudding from the pan. If bits stick inside your pan, just scrape them off and sprinkle them back on top of the pudding. Serve warm with a generous pour of thick cream. With a little more amaretto on the side, perhaps. Many thanks to our host, Lauren of Sew You Think You Can Cook both for her behind-the-scenes work this month and for pushing me into realizing that I do like pears after all. Bundt Bakers is a group of Bundt loving bakers who get together once a month to bake Bundts with a common ingredient or theme. Follow our Pinterest board right here. 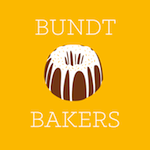 Links are also updated each month on the Bundt Bakers home page.